Initially I had envisaged that this post would help to identify examples of good and bad practices, which could be shared across the sector since, as described in the JISC buy medications online no prescription called described above “Effective Search Engine Optimisation is key to open educational resources providing benefits of discoverability, reach reputation and marketing“. However it seems that gathering evidence of best practices is not necessarily easy, with the tools and techniques used for gathering evidence appearing to provide ambiguous or misleading findings. Hmmm…not sure I follow the validity of this at all Brian. 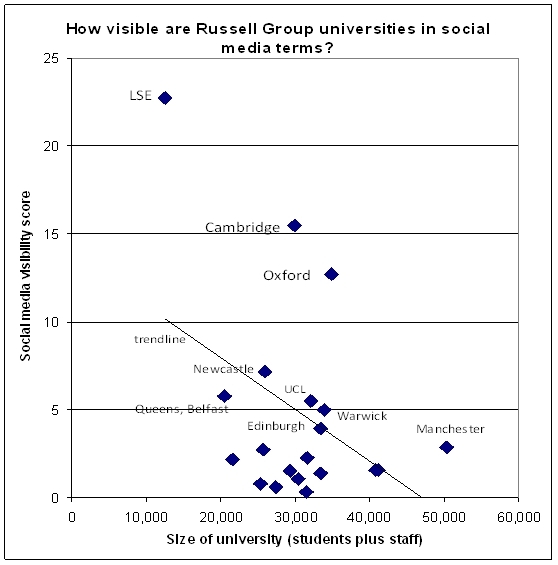 You say that “a small number of institutions which may have been omitted from the analysis” in the main UK university list – in fact it excludes the three highest ranking of all which appear in the Russell Group list. The 1994 list kind of matches the all institutions list (at top anyway) but excludes Aberdeen altogether. If the numbers are to be believed the “top five” should actually be UCL (;-0), Liverpool, Leeds, Durham and York. As you say, difficult to know what’s really going on within these closed systems. 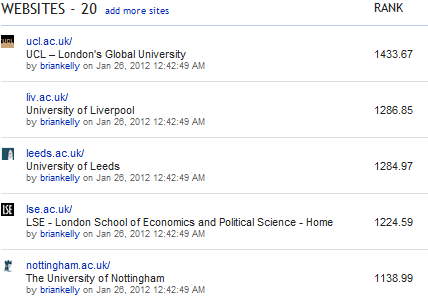 Oops, I seem to have missed out the Russell Group Universities for the overall list. My apologies. Blekko list is being updated. I have updated the blog post and will also update the Google spreadsheet. My apologies for this error. It is a bit of a leap to go from SEO to finding – as one is cataloguing, and the other is a process to ensure your ranked highly in google. Would you prefer your learning materials to only be those which someone has artificially optimised so as to appear highly in google? Does that sound trustworthy? It doesn’t exactly feel scholarly. It also assumes that the sole providers of OER are Universities. If you do any google search, Google’s algorithm is modified to prefer Wikipedia (whose every page is an OER) so they feature quite highly. 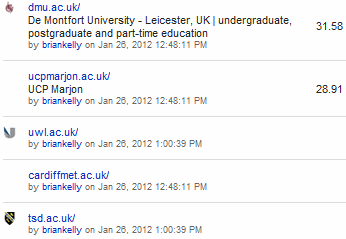 The importance of SEO was mentioned in the recent JISC OER call, which I cited in the post. I would prefer that OERs are not difficult to found using Google, thus failing to exploit the investment made in the development of OERs. Clearly there will be many providers of OERs. I suspect that many commercial providers of OERs will have SEO strategies in place for their resources – we need to ensure that our web sites aren’t artificially optimised to appear low in Google rankings! SEO for a website / brand (a university website) is different for SEO for a learning resource though – one is clearly competitive, one is more good practice. It’s a bit apples and oranges. 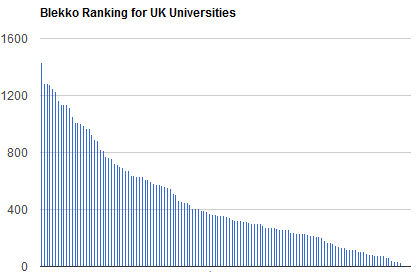 Only one of the top 5 Universities (UCL) has any OER – whereas 2 of the bottom five do. It might be more apt to look at how most repository software is very poor for SEO – failure to provide well structured URLs, poor embedding of RDFa – this is probably a bigger issue. It is hard to have any SEO if your system can’t provide it. Fundamentally, you can’t find an OER via google, as it has no method for recording if a resource has an open licence. There will be lots of different reasons why people search for content held on university web sites: to find educational resources is just one of many. You are correct that repository software may be poor for SEO – and this may be the case for other types of software, too such as CMSs. Note that users may not necessarily be looking for an OER – they may be looking for an educational resource, and not care about its licence. An OER could be more findability than other types of educational resources, as more sites may be linking to resources with CC licences – but there’s a need to understand other barriers to SEO.